Here’s an event coming up next week at the Library. Almost 20 years ago, the Air National Guard withdrew a proposal that would have sent military jets flying 300 feet above the ground over southwest Wisconsin. Local opposition to these regional low level flights exploded in the area and prevented the low level flight corridor. 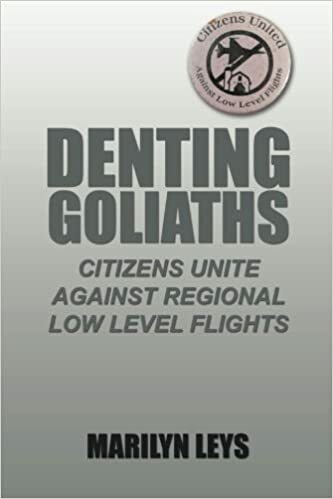 Denting Goliaths is the story of the opposition to the proposal. Author Marilyn Leys has gathered research and interviews for the book based on her work with Citizens United Against Low Level Flights. On Tuesday, September 8th, starting at 7pm at the Soldiers Grove Library, Leys will share what she learned about government agencies and include examples from her book. ​A new Walk-In Service! Have a question about your new digital device? Need to know how to do something on the computer? This library service is not about technical repairs but it’s an opportunity for answering questions or learning basic computer skills when you need them. Help sessions for all things electronic with Jerred Volden will be available on Tuesdays and Thursdays from 3-5pm at the library. No appointment is necessary, first come, first served.